Strata Worldwide's StrataConnect system continues to evolve, expanding in capabilities to provide mines with a complete list of functionalities and options. Read more about this system’s network designs and their capabilities. 1. Is StrataConnect Wireless a communications system? StrataConnect Wireless can be used for text communication and emergency alerts; however, it is best suited as a temporary or permanent remote monitoring, control and tracking system for underground mining. Operations can elect to deploy the system mine-wide or have it specific to certain areas. The system offers high resolution personnel and equipment tracking, as well as real-time environmental monitoring. Unlike zonal tracking systems such as traditional RFID, StrataConnect Wireless triangulates the actual location of the tracking device and identifies the individual or piece of equipment associated with the device on a digital mine map at the surface. 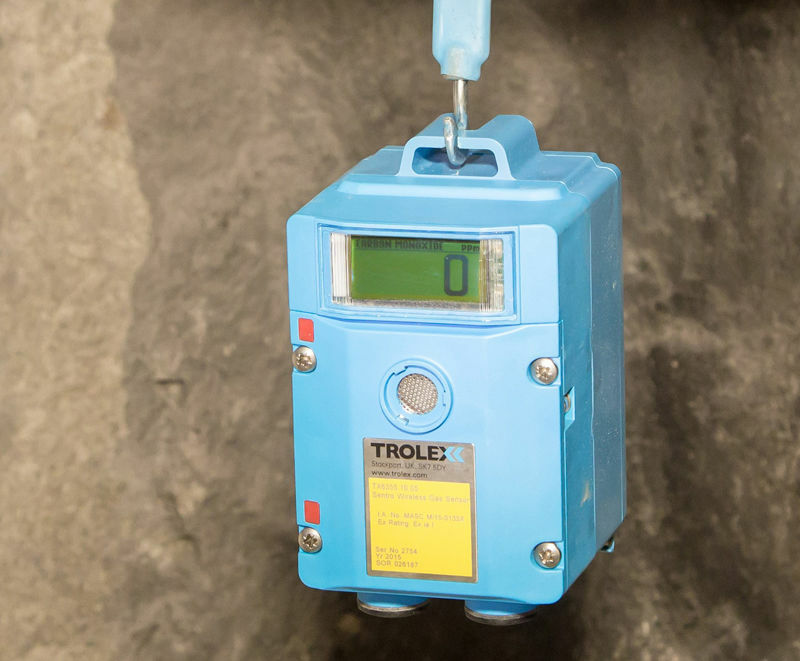 StrataConnect Wireless is ideal for placement of atmospheric monitoring and gas detection sensors in isolated and/or potentially volatile areas of a mine, as its completely wireless and battery-powered operation makes it fast to install and requires very minimal hands-on maintenance. Strata Sentro 1 SMART Monitors monitor the environmental conditions and gas concentrations and transmit data back to the surface. The system can be used standalone or be integrated into a mine's pre-existing hardwired network to be accessible on its pre-existing user interface. 2. What mines can benefit from StrataConnect Wireless? StrataConnect Wireless will supplement any underground operation, whether or not an existing data network is in place. It is an ideal add-on for performing specific tasks in specific areas, or it can be used as an operation's complete underground network. All system components are Intrinsically Safe (IS) approved, making them safe for use in underground coal mines and other gaseous environments. StrataConnect Wireless' flexibility makes it suitable for a variety of custom applications, including the detection of up to 64 different gases, measurement of air or gas flow for ventilation, measurement of air temperature, pressure or humidity, or it can be used as a control switch for controlling and monitoring fans, floats, pumps and sensors. For tracking, the system delivers real-time and time-stamped location data, including direction of travel, for all tagged individuals and mobile machinery. 3. 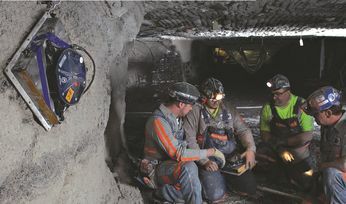 What does the mine need to have in place to incorporate StrataConnect Wireless? While StrataConnect Wireless is fully interoperable with installed communication networks, no pre-existing infrastructures or power supplies are required. StrataConnect Wireless forms its own wireless mesh infrastructure utilizing proprietary technology designed specifically for underground use. With the simplicity of only three different components, the CommNodes, SMART Monitors and Strata Tracking Tags, a mine can install a fully operational mine-wide tracking system and/or mine-wide wireless telemetry system in a matter of hours. The fixed components are installed by suspension from the mine roof or rib, and the network connection is automatically self-forming. The mobile tracking tags are worn on personnel hard hats and asset trackers are mounted on equipment. 4. What is involved in system maintenance? 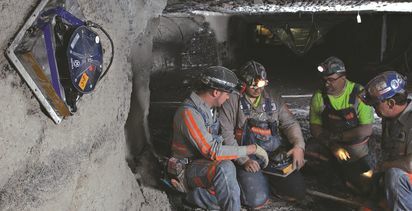 By eliminating, potentially, miles of cables and wiring, mines can save considerable time, money and manpower by not having to perform tedious troubleshooting, maintenance and repairs. The most frequent maintenance required for StrataConnect Wireless is battery replacement. Both the CommNodes and the SMART Monitors use commercially available D-cell batteries. The battery life of monitors ranges between 45 and 60 days. The battery life of CommNodes range between nine and 12 months. The Tracking Tags utilize standard AAA batteries with lifespans of 3 months for personnel tags, and one year for asset tags. Gas sensor calibration is recommended every six months. This procedure involves a fast exchange of the sensor module underground, with calibration of the used unit at the surface. There is no requirement to power down the unit and no interruption in monitoring activity. StrataConnect Wireless could easily be the lowest maintenance monitoring system on the market. 5. Does StrataConnect Wireless promote mine safety? StrataConnect Wireless can be classified as a safety system. When personnel location tracking was implemented as law in US coal mines, it was for the increased safety of miners. Knowing where mine personnel are, especially in an emergency situation, is vital. It could mean the difference between life and death. 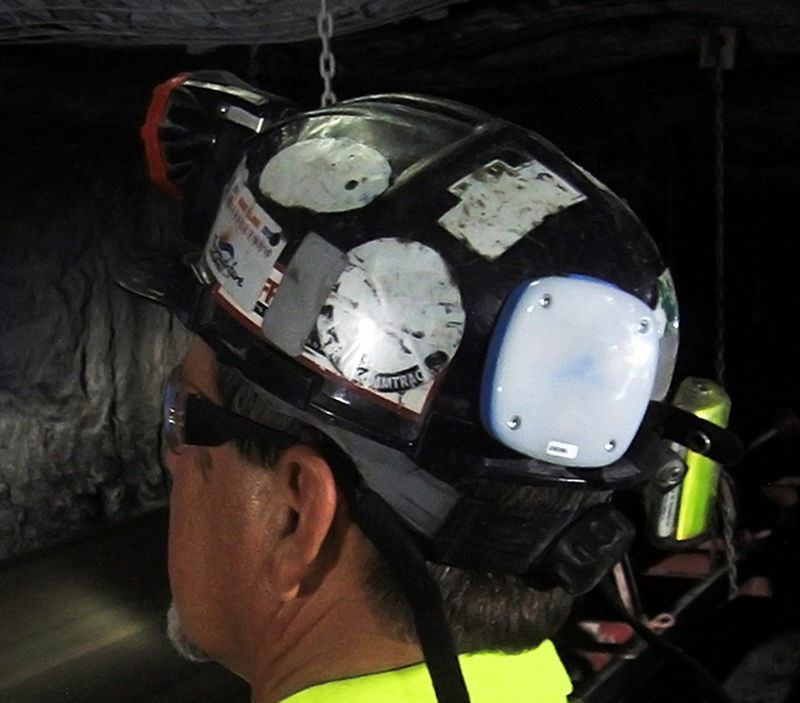 Tracking with StrataConnect Wireless provides a visual, real-time representation of each individual in the mine, highlighting their location and direction of travel on a digital mine map. The system will identify a "man down" situation where a miner has been immobile and/or is unresponsive for a period of time. Built into the Strata tracking tag is an alert feature that enables miners to use the device's power button as a personal alarm to signal dispatch that assistance is needed. 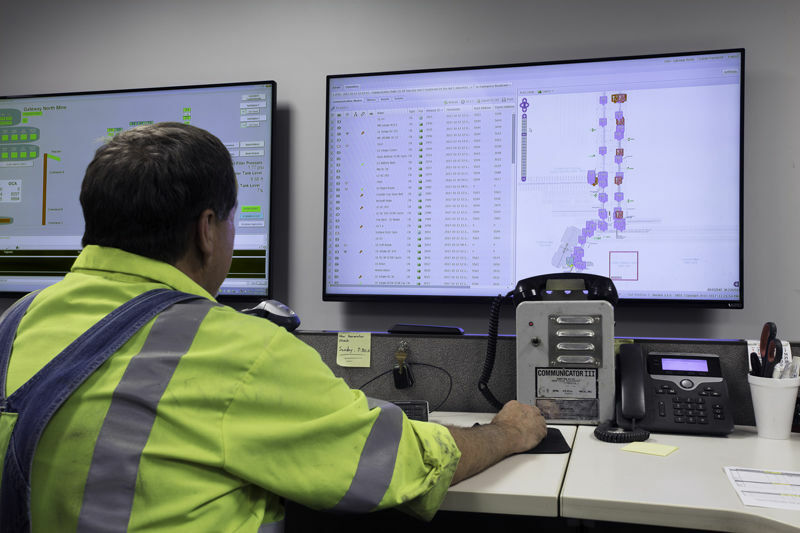 Visual alerts appear on the user interface, alerting mine operators of the situation so that they may communicate to others underground and have assistance sent to the individual. Furthermore, when a mine emergency has occurred and evacuation is necessary, broadcast warning alerts can be sent from the control panel simultaneously to all individuals underground. As a wireless monitoring system, StrataConnect Wireless works to ensure the safety and survivability of the working environment by continuously measuring and delivering atmospheric monitoring readings, as well as harmful gas detection alerts, to the surface. Strata Worldwide is a leading global supplier of safety products, services and technologies for the mining and tunnelling communities. With a comprehensive line that promotes greater safety across all types of mines and facilities, Strata brings state-of-the-art solutions to its customers while providing high quality customer support through-out the business process.